Wrongful Death Attorney Ft. Lauderdale | Welcome to Adam Franzen. P.A. Have you recently lost a loved one due to the negligence, carelessness, or recklessness of another person or business?You may be entitled to pursue a claim for damages against the responsible party under Florida law. These types of lawsuits are called wrongful death cases and are governed by the Florida Wrongful Death Act, Florida Statutes § 768.16 et seq., and other applicable laws. There is a four-step test to prove wrongdoing on the part of the defendant in these types of claims. This involves a showing of negligence that requires proof of a duty, breach of duty, damages, and causation. There may also be other factors that need to be proven, depending on the type of accident that led to the loved one’s death;, however, the four-step test is the key to determining any personal injury lawsuit, including wrongful death actions. Adam Franzen, of the Franzen Firm in Ft. Lauderdale, is experienced in these tests and can determine whether you have a case to proceed forward. Once negligence is established, the next step is to quantify the damages. These damages represent the amount of compensation due to the aggrieved party. In a wrongful death lawsuit, there are two types of damages that may be available. h survivors of the deceased person may be entitled. 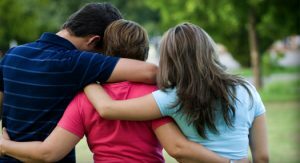 The Act defines “survivors” as the spouse, children, parents, and, in some situations, other relatives who may have been dependent upon the deceased person for support or services. Children born outside of marriage are recognized by the Act as being the “child” of their biological mother but may not be considered the “child” of their father unless he had recognized a legal responsibility to provide support. Survivors, as defined by the Act, may be entitled to reimbursement for medical or funeral expenses paid on the deceased person’s behalf and compensation for the lost support and services of the decedent. A surviving spouse may also be able to seek damages for loss of the decedent’s companionship and protection, as well as for mental pain and suffering. Minor children (under the age of 25) can seek damages for loss of parental companionship, instruction, and guidance, as well as mental pain and suffering. If the deceased person did not have a spouse at the time of death, all children of the decedent can seek these damages. In cases of deceased children, parents may be entitled to recover mental pain and suffering, depending upon the age of the child and whether there were other “survivors” under the Act. The deceased person’s estate may also be eligible to receive compensation for lost earnings or diminished net accumulations of the estate, including funeral and medical bills for which the estate is liable. “Net accumulations” is defined by the Act as the expected net income of the decedent (including pension benefits) that the deceased person would have saved and left as part of his or her estate, if his or her wrongful death had not occurred. In calculating net accumulations, there is a subtraction for the deceased person’s tax obligations, personal expenses, and support of survivors. As evident in this article, the Florida laws are difficult surrounding the requirements of a wrongful death lawsuit. The amount of damages to which a family may be entitled varies widely depending upon factors such as the age and occupation of the decedent, whether the deceased person’s spouse remarried following the accident, and whether the accident was caused by an act of medical malpractice or another type of negligence (some damages are restricted in malpractice suits). This entry was posted on Friday, July 29th, 2016 at 4:03 am	and is filed under Blog. You can follow any responses to this entry through the RSS 2.0 feed. Both comments and pings are currently closed.